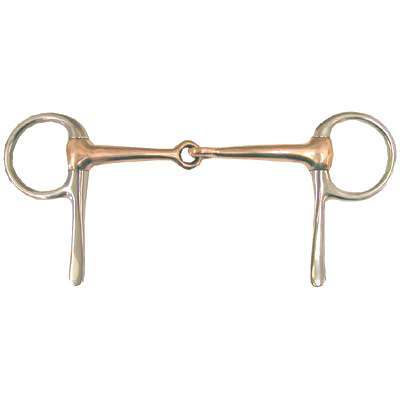 This Copper Mouth Horse Bit is made from the finest copper available. They offer an extraordinary feel, yet are easy to work with and provide maximum comfort for your horse. The Half Cheek Copper Mouth Bit that we offer is a top quality item for your horse. The copper mouth creates salivation and the ret of the bit is constructed in stainless steel. This is one of our customers favorite horse bits. The size of this item is 1 1/4'' rings, 13mm mouth and 2 3/4'' shanks. If you are in need of Half Cheek Copper Mouth Bits we have just what you need. We only offer the best horse bits for your horses at unbeatable prices.